Don’t start shopping for wedding dresses without a plan. To ensure a successful shopping experience, think about your schedule, your wedding, and your undergarments. Shopping for wedding dresses can be one of the most exciting parts of planning a wedding. But it’s always best to be prepared, and there are a few things to consider before setting out for a day of dress shopping. Armed with a few bits of advice, any bride can have the ideal dress shopping experience. It would be nice if every bride found her perfect dress in the first shop she visited. Unfortunately, finding a dress can often take a little bit longer than that. Most brides end up trying on multiple dresses before they find “the one.” Expect to take an entire day to find the perfect dress, and keep in mind that trying on a dozen gowns in the changing room can actually be physically exhausting. It’s an all-day affair, so plan your wedding dress shopping timeframe accordingly. Different weddings have different lighting conditions. Beach weddings are drenched in sun. Winter church weddings are lit by candlelight. If it’s possible, try to choose a wedding dress lighting look that works with your venue. If your wedding is going to be held outdoors, recreate that atmosphere by standing next to a window in prospective wedding gowns. If you’re throwing a romantic, candle-lit wedding, find a dimly lit corner of the store. This is the best way to gauge whether your favorite dresses will look good on your big day. 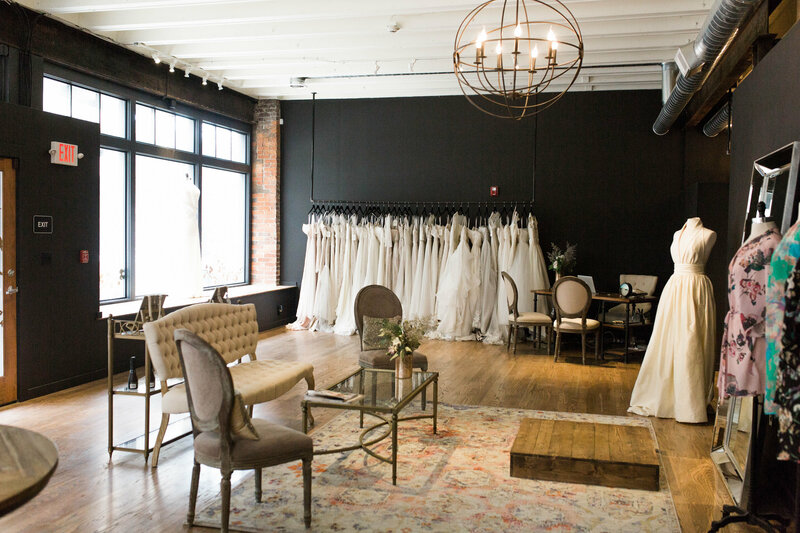 When shopping for a designer wedding dress in Columbus, you’re going to spend a lot of time in the changing room. There may be a consultant on hand to help, so make sure you’re wearing undergarments that make you feel comfortable. Also, try to choose wedding dress undergarments that will create even lines underneath your favorite dress styles. Don’t wear brightly colored bras or bras with complicated straps. Instead, wear neutral hues and strapless bras. That will ensure a pleasant changing room experience.